As bad as the situation was in New Orleans after Katrina – and it was dire – conditions in Puerto Rico are exponentially worse. Approximately 60,000 New Orleanians were stranded in the city for nearly a week. Over a month after the Hurricanes Irma and Maria, over 3 MILLION Puerto Ricans were still without electric power and medical and other basic services and many still have no access to potable water or reliable food supplies. Improvements are slow and difficult and resources of all kinds are needed. 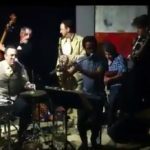 We ask every Jazz on the Tube subscriber to do whatever they are able – share these pages, spread the word, contact your Congress people, donate money. PRIMA is a collective of musicians and artists on the island of Puerto Rico. Their mission is to help sustain the independent music community in Puerto Rico which has suffered catastrophic losses as the result of Hurricane Maria. PRIMA is partnered with the NYC based non-profit Pregones Puerto Rican Traveling Theater which has been dedicated to supporting Puerto Rican artists in all disciplines for decades. Contributions to this fund are distributed by PRIMA to artists in need on the island and are tax-deductible. Any amount, large or small, is welcome and will be put to good use by people who are on the ground, know the needs, and are dedicated to helping the musicians of Puerto Rico. This organization founded in 1990 has a clearly defined program for bringing and distributing emergency aid throughout Puerto Rico and has already delivered over 1.5 million pounds of emergency provisions to distribution centers throughout the island. They are well organized, committed, focused on Puerto Rico, and in it for the long haul. Charity Navigator which rates charities on fiscal responsibility and transparency has rated this group 95.47 out of a possible 100 which is the equivalent of AAA+ in the non-profit accountability world. 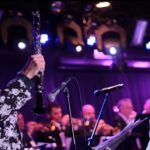 This group provides medical, financial, legal, and vocational services to jazz, blues and roots musicians in the United States. Their exact plans and programs for helping Puerto Rico are at this time not known because they have not disclosed them. If you want to contribute to this group specifically for Puerto Rico relief, we recommend you do so by CHECK ONLY and include a cover letter stating your intention and with a memo to the effect written on your check. Note: On its website, the Foundation says it reserves the right to use donations it receives for any purpose at its sole discretion. 1. Puerto Ricans are U.S. citizens and have been since 1917. 2. The U.S. government has the material, personnel, transportation, infrastructure and expertise to address this situation on a massive and rapid scale. That it has not done so is a decision based on the assumption by those in control of these public resources that there will be no political consequences for failing to do so. If you disagree with this deliberate government policy of minimal emergency aid, please contact your political representatives and tell them you want to see meaningful help for the people of Puerto Rico.